SAFETY FIRST. Let me back up a minute. When working with stinging insects, one essential piece of personal protective equip-ment (PPE) is a bee suit. It’s shocking to me how many technicians are working with yellow jackets and honey bees without one. With safety becoming ever more important to our clients and injuries becoming ever more expensive for pest management companies, it’s a no brainer. Buy your technicians bee suits if they are working with large colonies of stinging insects — it’ll be the best $100 spent on safety. Period. Bee suits are effective; they can make one feel almost invincible when treating stinging insects. As all bystanders flee in fear, the bee suit-clad PMP can stand his ground against a ferocious colony’s assault. Remember the dragon from The Hobbit, named Smaug, who could totally annihilate a city without fear of retribution? Yeah, it’s like that. Of course, the target insects that we are called on to decimate are not all the same size…and just like Smaug you may find there is a chink in your armor that a flying arrow can penetrate! Beekeepers are very conscious of the size of honey bees. They use terms like “queen ex-cluder” and refer to “bee space,” which are related to the size of honey bees. Bee keepers are great at finding materials that keep out honey bees. After all, what else would one need to keep out of a bee suit? There are different styles of bee suits available — some have a hooded veil built onto the suit and others have a separate veil that slides over a brimmed hat. If your bee suit has grommets or ventilation eyelets in the hat, they are often 0.5 cm open-ings, just the perfect size to keep out angry worker bees while still maximizing air flow. Side profile of an Eastern yellow jacket (left) and a honey bee. Photo courtesy of Mark Vanderwerp. One of the smallest, and also most common, yellow jackets that we deal with in the Midwest is called Vespula maculifrons, the Eastern yellow jacket. They are not the same size as a honey bee and have been known to sneak right through those bee suit grommets and dispense a little payback to the unsuspecting applicator! Snip out pieces of window screen and use hot glue or liquid nails to affix them inside the bee suit over any large ventilation openings. Wear sturdy socks that can be pulled up to your calf when working with stinging insects. Duct tape, while not professional looking, can be a great tool to wrap around the ankles or to put over the suit’s zipper closures to ensure you have a tight seal. Tyvek arm sleeves work great to fill a gap between the bee suit sleeve and gloves, which sometimes opens when reaching above your head to treat or remove a nest. If you find yourself cursing all beekeepers and their no-room-for-error suit designs after a yellow jacket has penetrated your armor, be thankful that you aren’t wearing a suit optimized for keeping out bumble bees — and that the animal envenomating you is fairly small! SMART CHOICES. 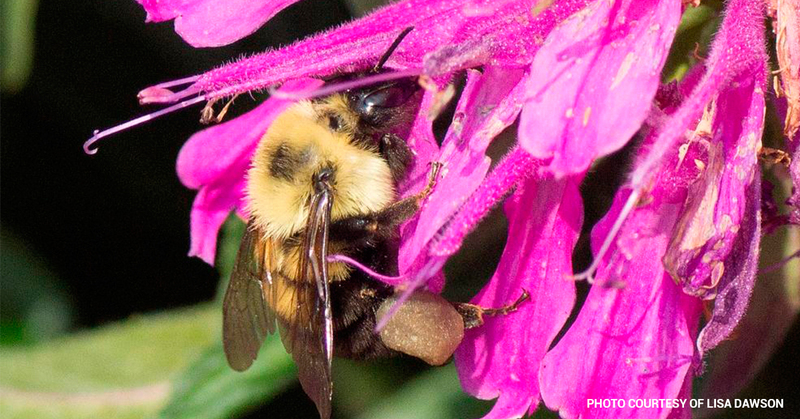 There is growing concern over bee populations today. Be wise in what you treat. 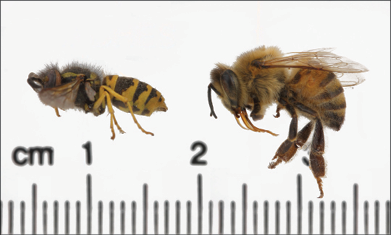 Many solitary bee species are non-aggressive and often don’t warrant control. While honey bees are notan endangered species, and we are absolutely legally able to manage them — many times it doesn’t make sense from a PR or risk analysis standpoint to do so. Reach out to a beekeeper or hobbyist to remove the bees intact, when possible. (In regions with Africanized honey bees, this likely won’t apply.) If there isn’t such a resource readily available in your area, consider filling this need. Honey bee cutouts and swarm captures can be rewarding and profitable, not to mention the honey tastes fantastic when it hasn’t been treated with insecticidal dust! The author is manager of education and training at Rose Pest Solutions, Troy, Mich. This Tech Talk article was originally published in the April 2018 edition of PCT magazine.